I had an unusual thought this morning over coffee and checking emails. Having just spent months creating, writing, and working with a team of people to develop a new website for the American Society of Estate Liquidators® at www.ASELonline.com, I am keenly aware how each individual member of the team worked together, as a vital piece of the whole, in order to come up with a successful end result. One person specializes in strategic writing, design, flow, another had graphic abilities, another technical, and more. It was a vision I had, but this team came together to find a way to create it. It really takes an entire team to make a project succeed, like exposing the back of an antique mantle clock and viewing how all the gears and cogs work together in sync. I’ve always secretly wondered how the gears all worked together. As imperfect humans, with myself at the top of the list, we do make mistakes. Sometimes, many mistakes. We may not communicate clearly to the teammates working on another part of the project. Our brains work differently, and yet, we expect our teammates to understand what we mean, as if they can read our minds. While each of us has our own vision for their portion, when you put all the parts together, it usually needs to be tweaked until the best version is attained for the whole project. Such is life … always a work in progress and always with the help of others. Why is it that we tend to only think about our part of the team? We concentrate so heavily on what is our responsibility that we fail to see what the others are doing and the tremendous efforts they make. 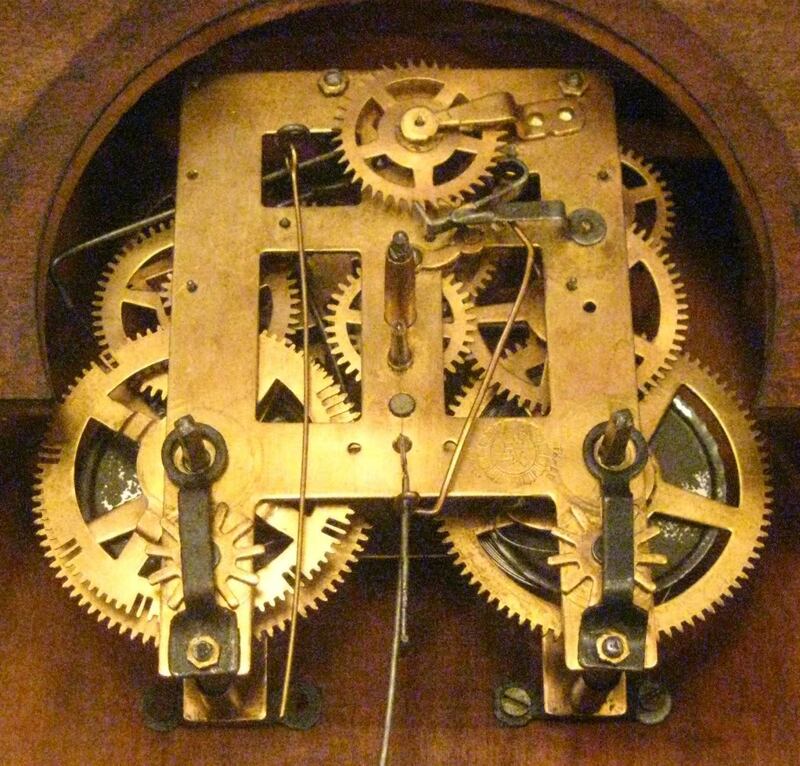 No single part or component would work successfully without the others, just like the gears in that mantle clock. when put together with other people’s gifts and talents, we can create something marvelous. But our part alone is just a piece laying there, a simple gear that won’t turn because there are no other gears or cogs to drive it into motion. The lone piece would simply not work unless put together with someone else’s piece. Our vision towards almost anything in life really needs to be extended to include the value and work of someone else’s skills and ability to see and imagine. This is difficult to master. When working together, each brings to the table something that we can’t contribute by ourselves. Little did I realize that a few days later, that statement would apply directly to me. I came to understand how our special team became my gears and cogs, driving me forward toward a long-dreamed vision. Sometimes all it takes is one tiny little piece to make it all work flawlessly. Whether you are faced with the grief-filled process of cleaning out your parents’ estate or downsizing to move to a smaller house, an estate liquidator can be the best investment to save time, maximize profit, and keep you from pulling out your hair. An estate sale professional conducts a public sale to liquidate the household goods. This sale is normally held on site, but can be held at a warehouse or storefront of the liquidator, especially when a neighborhood does not allow an estate sale. The estate liquidator is also well-versed in selling online. 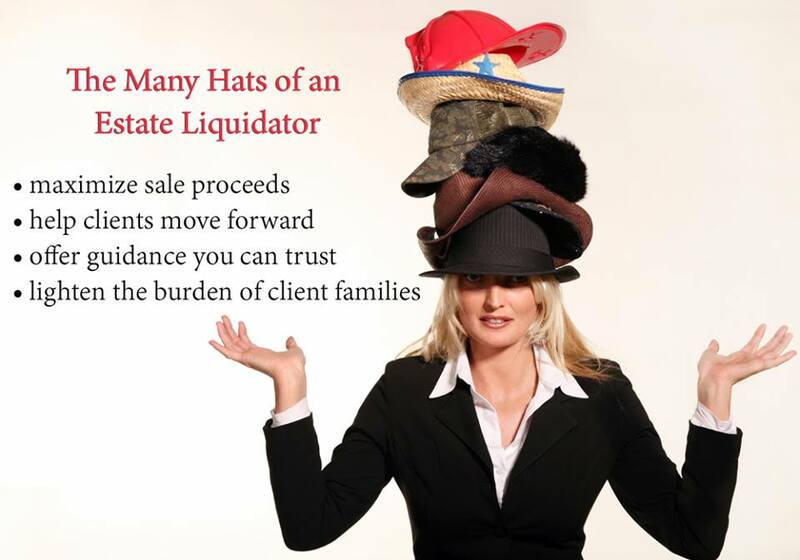 The liquidator is responsible for everything from organizing, researching, pricing, advertising, handling employees and attendees during the sale, and the entire client management process. They deal with just about every detail from their end to conduct a successful sale. Estate sale professionals like a wide variety of items to offer the public, to ensure a good sale. This variety acts like a magnet for the public, so if a potential client has only a couple of common upholstered chairs, an old bed, and a lifetime supply of plastic storage containers, an estate liquidator will not be the right fit. While each liquidator has an idea in their minds about what would make a good sale in their region, most like a mix of items ranging from jewelry and decorative items, to artwork, oddities, collectibles and antiques, cars, and so much more. After you sign a contract with your liquidator, nothing should be removed to be courteous and fair to the liquidator, or fees will be imposed to make up for the income the liquidator was expecting but has now lost. To add clarity to the ongoing education of a liquidator’s role and when to call for their services, this listing will serve as your guide. You already removed the best items and all that’s left is low-value items. The family is still removing things from the estate, and isn’t finished yet. You allow friends and family to take things from the estate, leaving little behind for the liquidator to have a productive sale. You haven’t decided what you want to sell or keep yet. Many of the items you want to sell are in disrepair: broken, re-glued, fractured, bent, stained. The property is unsafe: no electricity, water, heat, air conditioning, or structural problems. You are not prepared to sign a contract which is mutually binding. You are not yet emotionally ready to let go and let the professional commence work. You remove whatever the family doesn’t want from the house and pile it in the garage. You think that all old items are very valuable. You want to remain in the house while the sale is going on. Your internet search for prices really aren’t values, but simply asking prices. You are using old insurance appraisals for “values” that are no longer valid. You think to yourself, “This should have been donated or discarded long ago,” and you’re probably right. You really need to call a junk man. Many items found in estates are beyond usability. Some items have been badly damaged, have an odor, or are in bad condition and should be discarded. Many estate liquidators also like for clients to not throw anything away until they walk through your estate and take their own inventory. They may be able to sell some things for you, even if your belongings are not a good fit for an estate sale. They know what can sell, what’s hot, what’s not, and the prices that items will sell for. Remember: a professional liquidator is worth their weight in gold! The old song “Break It to Me Gently” reminds us that any time bad news is coming, we’d rather hear it gently and compassionately than point-blank and hurtful. Many times in life we will be the deliverer of, and recipient of, less than stellar news. How we deliver it, and how we receive it, is a testament to our personal and professional character. When we are called into an estate, we walk in completely objective, prepared to tell our clients the truth of what we see. The trouble is that sometimes our clients do not want to hear what we have to say. They may feel, because they paid so much for an item, it should have increased in value. They may feel that if they have an antique, it must be worth a fortune. We hear the stories of “mom always said this was worth a fortune.” The family folklore gets juicier with the passage of time; therefore the items must be super valuable. How difficult to be the bearer of bad news, but we must remind our clients politely not to shoot the messenger. Sometimes, hopefully not too often, we hear stories of estate professionals who are simply too direct or gruff with elderly clients. These professionals have lost their sensitivity somewhere along the way. Some might insult the client accidentally or intentionally. Some slam down the values of their items. Some say “no one would ever want this stuff” or “you don’t have anything good enough for me to sell.” What these professionals have forgotten is the art of being tactful and kind. It is professional and right to be honest and upfront. It is good to guide the client to a place where they have some solutions, even if you yourself cannot help them. It is the “best of the best” in this industry that can do all of these things with a kind face and a gentle heart. There are ways to lower the boom without lowering the spirit. Certainly there are those who feel being blunt is the way to go. These believe that our clients need a firm voice and words to make them understand their possessions are not going to be worth much, since we know their expectations are too high. After all, some people are harder to convince than others; you would be correct in that thinking. But as with all things in life, there is a balance that we professionals must once again recapture, which many of us have forgotten because we are all pressed for time and we multitask at every turn. We’re tired and always in search of that perfect estate. Sometimes you get it. Sometimes you don’t. Food for thought: How would each of us like to be spoken to if we were faced with selling our own possessions or the possessions of a parent? What if the items a professional slammed belonged to our moms? It is far easier to see our side of things because we do this every day. It is far more difficult to take a moment and step outside of ourselves, to see how it feels on the flip side. This one act will separate you from the mediocre and make you among the elite in this industry.